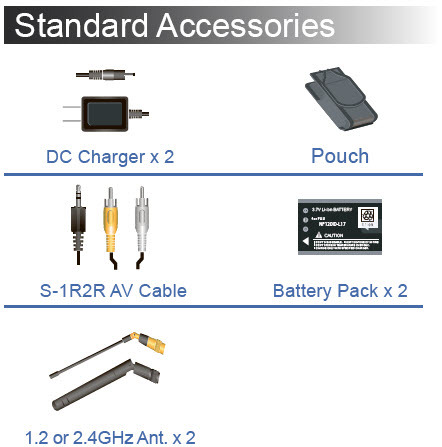 Wired covert cameras double its value when work in conjunction with Portable Wireless A/V Transmitter & Receiver Kit and become wireless cameras. Brilliant looking & Rugged design made by Mag-Aluminum alloy housing,compact enough to carry & great solution for heat sink. Single general stereo jack socket on transmitter for A/V. 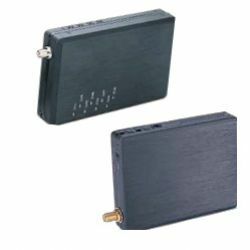 signal output and power supply, hassle free on cable plugging. Friendly operated by power/charge LED & low-batt. vibration alert while along with the easy CH-Dip-Switch via equipped sticker tool.